After cheaper car hire in Montenegro? Compare low cost rates for minibus and SUV rental. 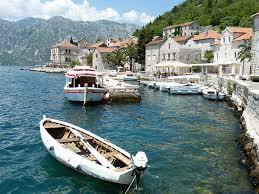 Save money when you next book your Montenegro car, SUV, MPV, estate or minivan rental. We have partnered with Avis, Budget, Europcar, Hertz and Sixt, so you can book with confidence, knowing you will get a good vehicle, but at a cheaper price than if you went direct. Our suppliers have depots at both the airports of Podgorica and Tivat, as well as throughout the country. The country has emerged from the rubble of the former Yugoslavia and is slowly becoming a favourite with international holidaymakers. Podgorica is the Montenegrin capital and attracts visitors with its ambient cafe life and cultural institutions such as Marko Miljanov Museum and Dvorac Petrovica Art Gallery. 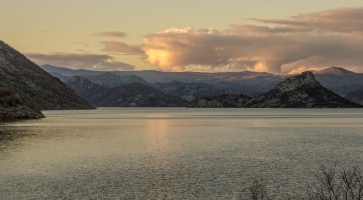 Driving in Montenegro is a convenient option for trips outside Podgorica. 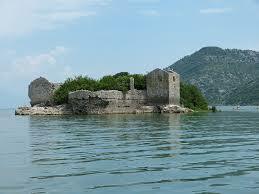 Skadar Lake and Adriatic Sea beaches are short drives. The former royal city of Cetinje is home to diverse museums, heritage architecture, Cetinje Monastery and the 15th century Vlah Church. The nation is not big and it is only 120kms from Podgorica to Bobotov Kuk Mountain on the opposite side of the country. The Bay of Kotor is a deep inlet of the Adriatic and has been inhabited since time immemorial. The towns of Kotor and Perast date from the Middle Ages. St Trifuns Cathedral in Kotor is 800 years old. Montenegro's mountains start slightly inland from the Adriatic shore and one sure way of taking in the beauty of the setting is to drive the scenic road between Cetinje and Kotor. Zabljak is a town and gateway to the Unesco World Heritage Durmitor National Park. The Tara River Gorge, mountains, 18 glacial lakes and opportunities for hiking and trekking are enticements to make the cross-country trip. Get cheaper rates here for hiring a Montenegro SUV or MPV. Compare supplier packages before go driving around Montengro. Good savings on Montenegro motoring prices. 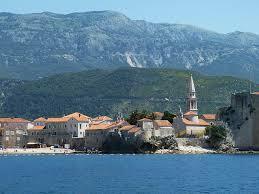 Best time to visit Montenegro - The coastal region has a mild climate. The best months to visit are between May and mid-October. August is peak visitor time so it is probably worth giving it a miss if you like peace and quiet. Ski resorts around Kolasin open from December to March. Coastal roads in Montenegro are in a reasonable state, but get busy during high season. The road that follows Moraca Canyon to Skadar Lake is a major tourist route and is notorious for its traffic jams. The Sozina Tunnel from the lakeside has the nations only toll gates. Routes through the mountain regionsare twisty and less well-maintained, and motorists should take care. The legal blood/alcohol level for drivers in Montenegro is 0.50 mg/ml.